Ed Zukowski, Ph.D., engineer and founder of Genesis Lamp Corporation, spent over 15 years at GE developing state-of-the-art xenon strobe products. As an entrepreneur, Dr. Zuzowski then leveraged his experience to become a specialty bulb manufacturer for the aviation and photographic industries and an independent supplier to consumers and global businesses. Today, Genesis Lamp leads the industry with extra long life airport light bulbs. Quality Assurance Testing: Genesis Lamp offers comprehensive QA testing for manufacturers that value the benefits of our deep expertise and advanced testing facilities. Our skilled, objective technicians can take your products and prototypes through a full certification process and evaluate their adherence to your specifications. Learn more about our unique testing services by contacting us at info@genesislamp.com. Research and Development: Genesis Lamp is committed to advancing the development of new technologies that enhance the safety, longevity and efficacy of aviation and obstruction lighting. We are pleased to share our metrics for light output, power and life test measurements with interested parties, provided they are used for continuous improvement and research. 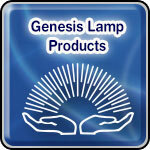 Please contact us at info@genesislamp.com. for more information.